Every spring, my students complete a nine week research project. Multiply nine weeks by eight classes and I need to be SUPER organized during this project! 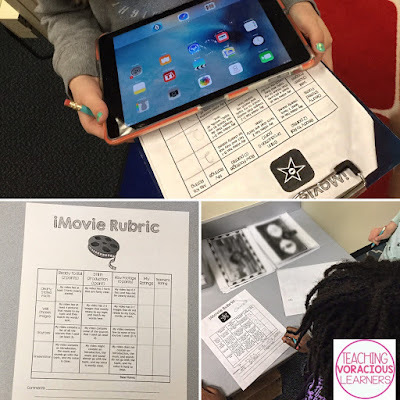 The goal of the project is that students choose a real world problem and synthesize their learning to find a possible solution in the form of an iMovie. They begin by choosing a topic. I read the book The Boy Who Harnessed the Wind when we begin and brainstorm the real world problems in William's story. 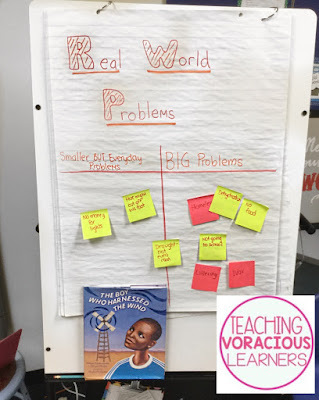 We talk about the difference between Small, but Everyday Problems and BIG Problems. Students then brainstorm an idea and write it both on their paper and a class Padlet. By cross-referencing the two, I come up with a list of topics for each student. 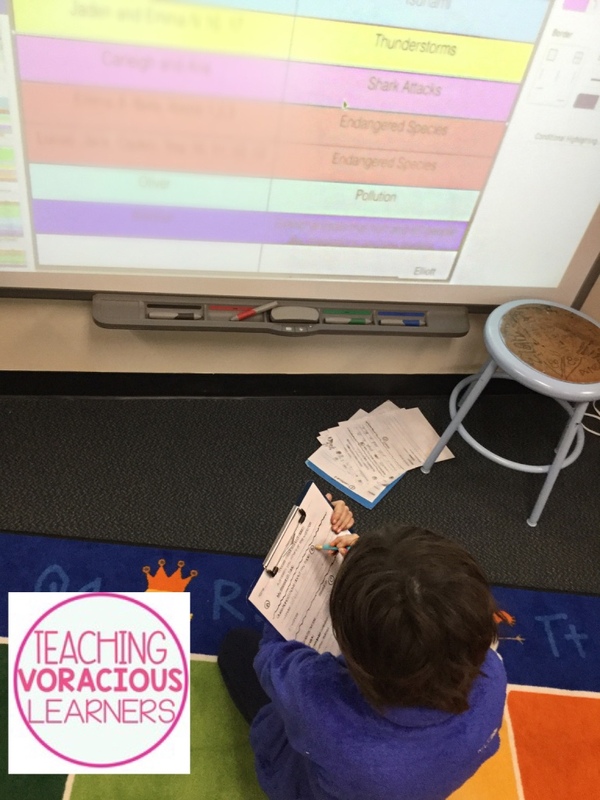 I create a color coded table for students to view. The second day, students choose a partner from list (someone who has the same or a similar topic as them). They also write their wonders about their topics. On the third lesson, students begin their research. I create a list of possible websites to use in the bookmarks bar and students have to decide which websites they think will have information answering their questions, and navigate the websites to find information. 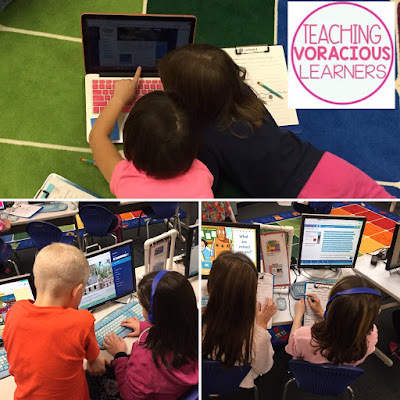 Example websites include PebbleGo, Brain Pop, World Book Kids, and Wonderopolis. 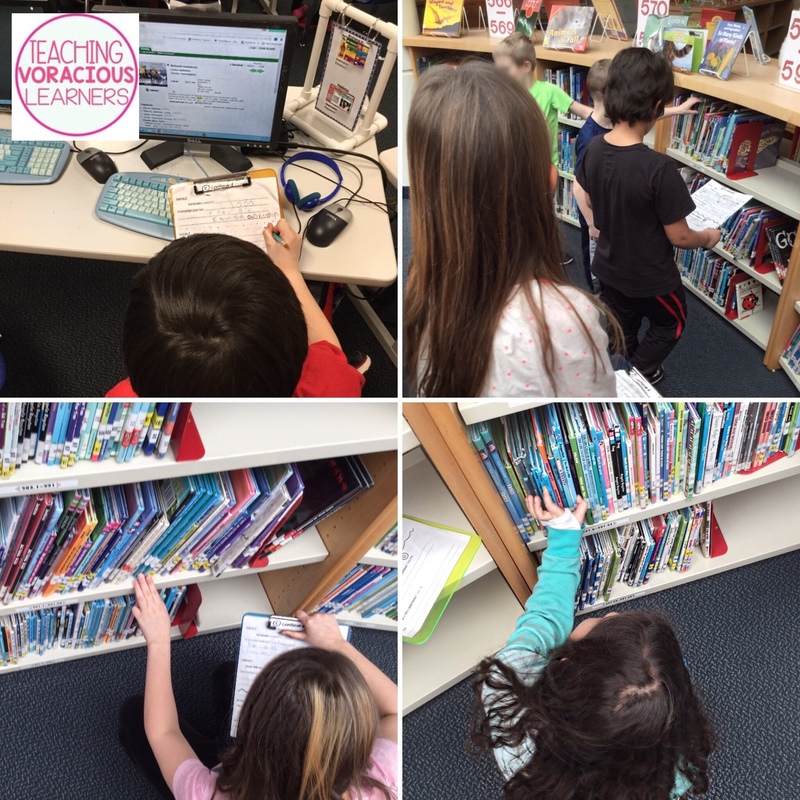 In lesson four, students complete their book research, searching in the library catalog, writing down the call number, then finding the book in the library. Students then take notes from their books. Do they have any new wonders? Yes/No. If yes, what? This offers them a chance to reflect of their topic and wonders and to revisit their research if they need to. 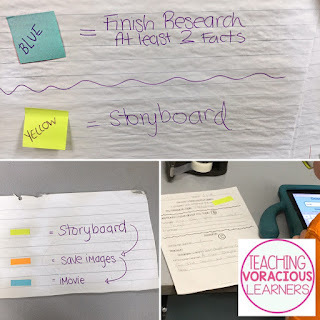 Once they are satisfied with their research, they begin their storyboard. This is lesson five. I introduce the storyboard by asking about the students favorite movies and explain how all great movies must be planned first. 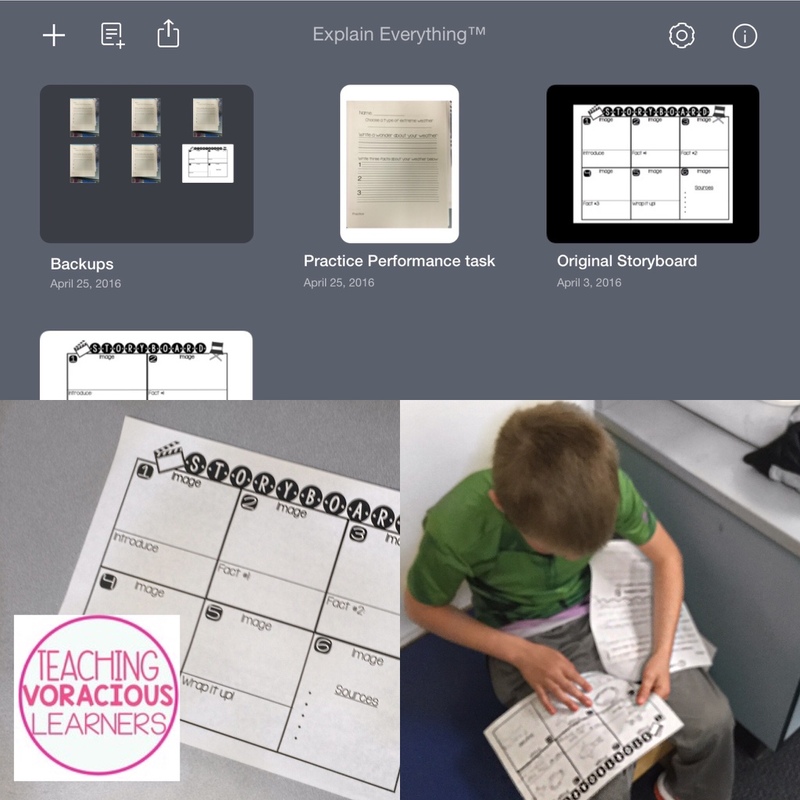 Then I show using Educreations how to complete their storyboard (you could also use Explain Everything). The students have to introduce their topic, write down 3-4 facts, then wrap it up. At the end they lost their sources and at the top, draw a quick sketch for an image they'd like to use. Once students finish the storyboard, they then search for their images (in lesson six) using the QR codes I post. 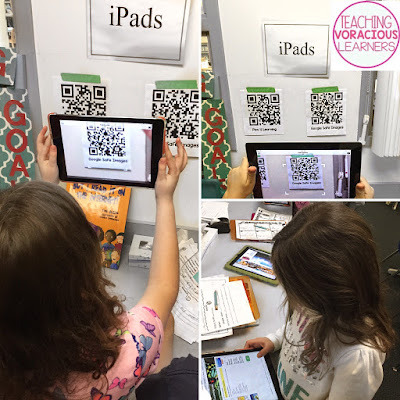 Read more about using QR codes and student appropriate safe search engines here. 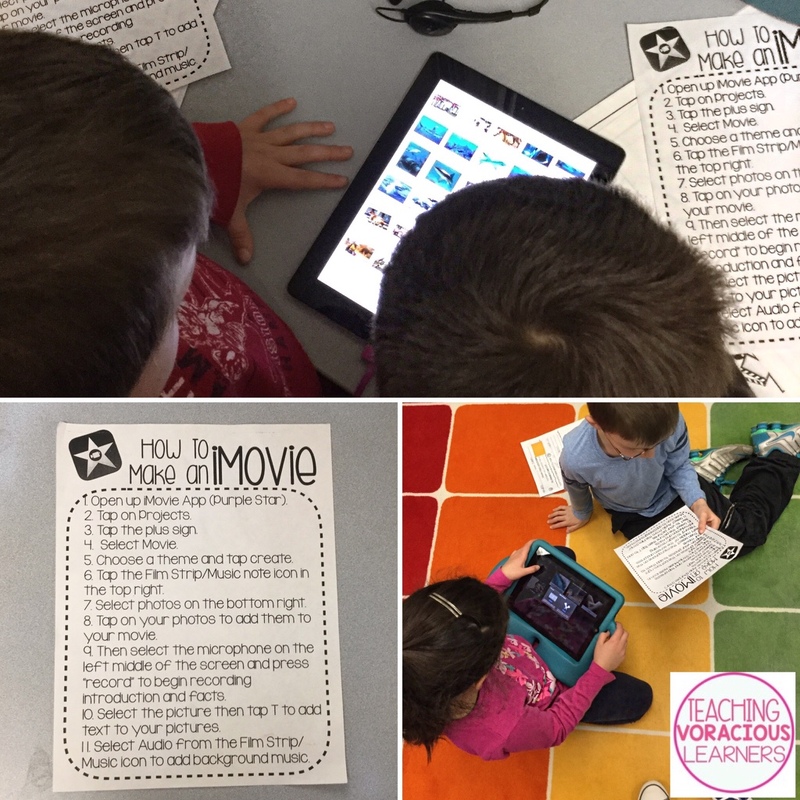 Students then create their iMovies (in lesson 7) with their partners - for a "movie" project, there is a lot of prep work! Students follow the 11 step process, which breaks down the process to bite sized chunks. After finishing their movie - adding images, recording audio, adding background music and sounds - I evaluate their iMovie and provide feedback. Students make adjustments as needed and then score themselves. 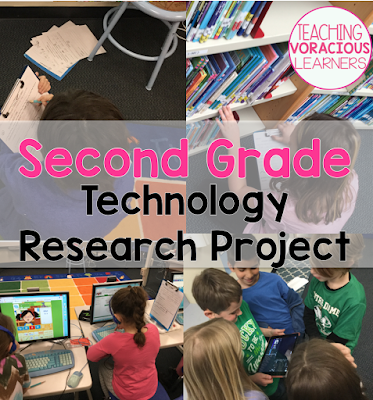 Throughout this unit, students are at different parts of the project - some students whiz through the research, other students are great at saying images, and some are great at creating the video. 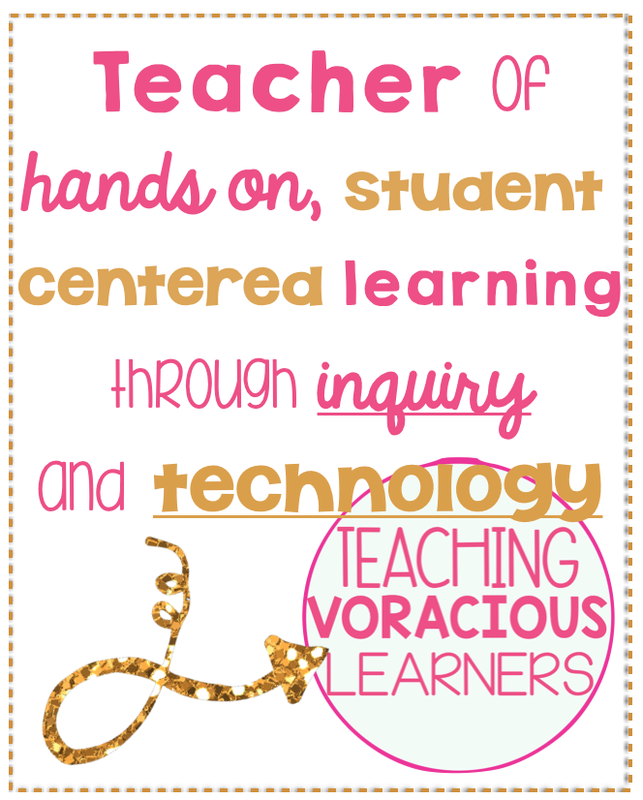 Because of this, I let students self pace their learning. 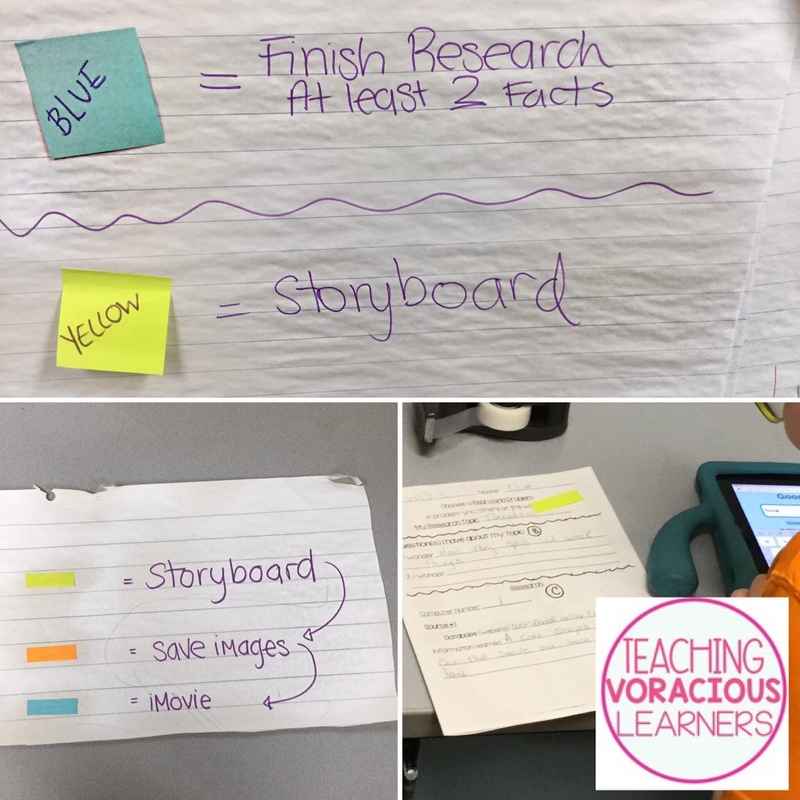 I manage this by using a color coded sticky note system - each colored sticky note means they are on a different part of the project. For example, yellow means storyboard, green means finding images and blue means creating their iMovie. This system helps me - as I prep for the lesson, it lets me see more clearly where the class is as a whole; and it helps the students know what area of the project they are working on that day, as well as reminds them what step they are working towards next. 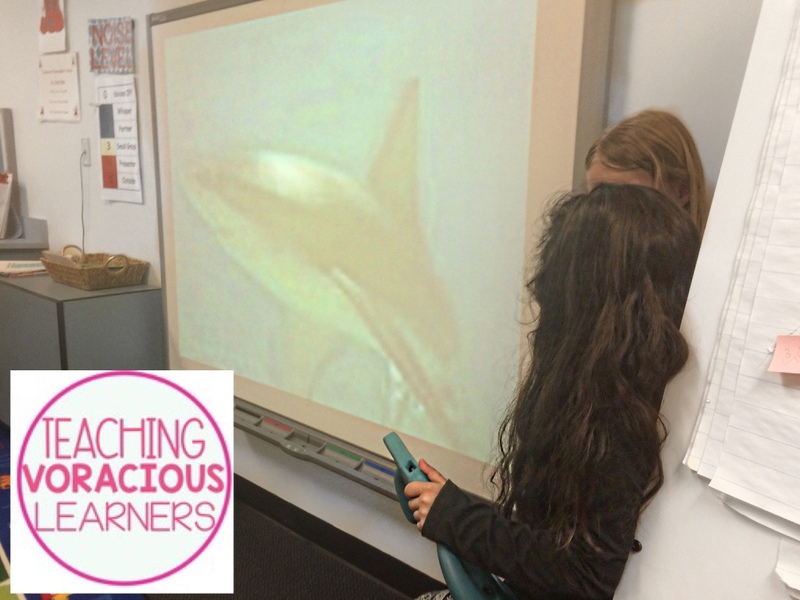 Because of this Lesson 7 is where I introduce the iMovie, but I give the students two days to wrap everything up. Students who finish early can become iMovie experts, brainstorm a solution to their real world problem, or ask another question they have as a result of their completed project. 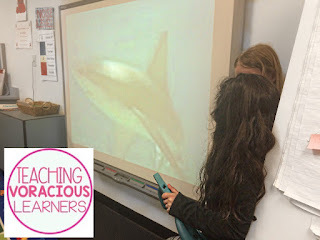 The last lesson of this unit is where students share their movies, classmates provide positive and constructive feedback, then students reflect on the whole project taking a Google Survey. The survey asks them to rate how they did on each section of the project and then reflect on what they would change or what they might do differently. As a specials teacher, this unit takes about 9 days. For me that means 9 weeks. For a classroom teacher, it would easily be put into a two week, 40 minutes a day project. 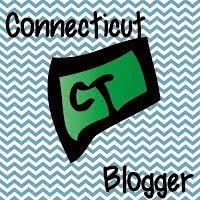 It's a great way to have students learn a wide variety of skills and apply these skills in a hands on way. 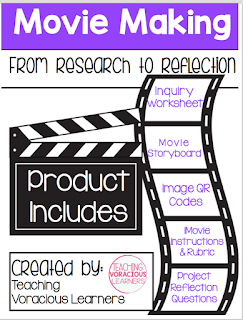 If you are interested in any of the resources I mentioned in my post, you can grab my Movie Making Kit on TpT.